Several San Diego locations. 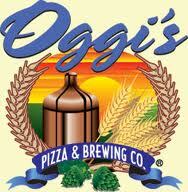 House-made brewskis and American-style pizzas, with thick, slightly sweet crusts, many with elaborate toppings. Also pub grub and vaguely Italian food. Inexpensive. Sunday 3-6pm, 9pm-close: $1 off pints, wells, and house wines, $4 off wine bottles, $4.95-$8.95 appetizers. Monday 3-6pm, 9pm-close: $1 off pints, wells, and house wines, $4 off wine bottles, $4.95-$8.95 appetizers. Tuesday 3-6pm, 9pm-close: $1 off pints, wells, and house wines, $4 off wine bottles, $4.95-$8.95 appetizers. Wednesday 3-6pm, 9pm-close: $1 off pints, wells, and house wines, $4 off wine bottles, $4.95-$8.95 appetizers. Thursday 3-6pm, 9pm-close: $1 off pints, wells, and house wines, $4 off wine bottles, $4.95-$8.95 appetizers. Friday 3-6pm, 9pm-close: $1 off pints, wells, and house wines, $4 off wine bottles, $4.95-$8.95 appetizers. Saturday 3-6pm, 9pm-close: $1 off pints, wells, and house wines, $4 off wine bottles, $4.95-$8.95 appetizers.